George Herriman’s drawings of Archy and Mehitabel brilliantly capture the spirit of their subjects: the inquisitive cockroach and the sassy, brassy alleycat. To many most readers, the drawings are as much a part of Archy and Mehitabel’s charm as Don Marquis’s stories about them. But Herriman was just one of many artists to capture their magic. Edward Gorey drew Archy and Mehitabel, and so did cartoonists at The New Yorker and Collier’s magazines. Animators drew them in a feature film, and artists today continue to draw inspiration from cockroach and cat. 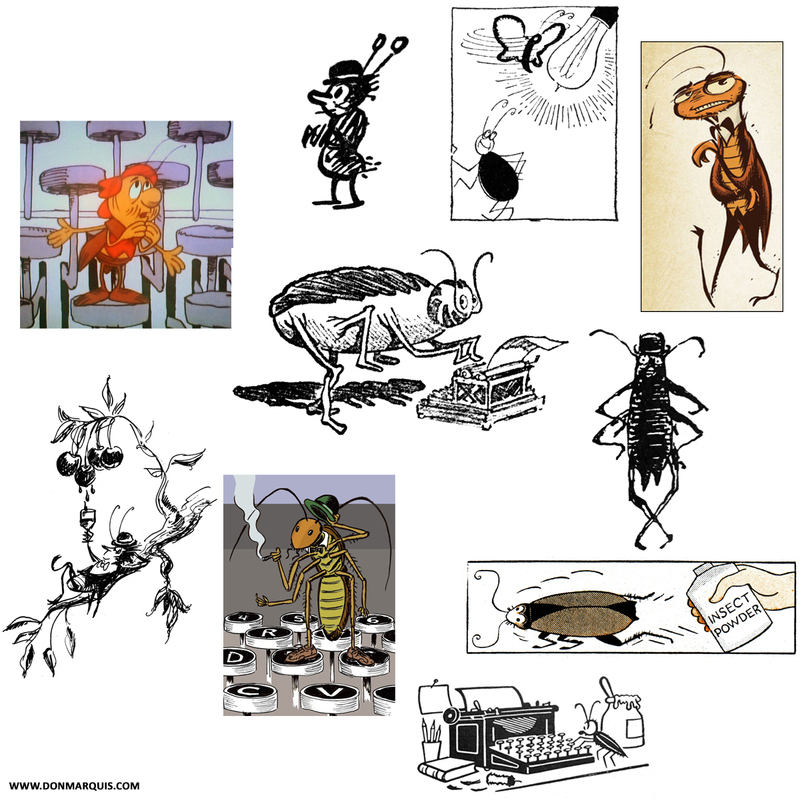 Here is a look at Archy the cockroach through the eyes and pens and pencils of 10 artists, drawn over the course of nine decades. Scroll further down the page for an up-close look at each of the images. And look for drawings of Mehitabel in a future post.